Why Do People Wait In Massively Long Lines? Between Anna & Elsa at Disney parks and the new Harry Potter World at Universal, I continue to find myself flabbergasted by how many people wait in ridiculous lines. I have seen pictures and read reports that have literally made my jaw drop. 300 Minutes. 300 Minutes! 300 Minutes!?! Are you kidding me? Who in their sane mind would wait five hours in a line at Disney, let alone to meet characters (as opposed to, say, an attraction that gives you at least a few minutes of excitement as a return on investment). This truly blows my mind. And the parents who stand in a line like that for their kids for that long deserve either a medal or a subscription to an insane asylum. If anybody reading this has ever waiting in a wait that was… let’s say… 120 minutes or longer can you please tell me what your reasoning was? If you went to Disneyland with one child for a few days and got a one-park pass for $75 dollars (this presumes, as I said, you bought a 3-day pass. A 1-day pass would be $96) and spent the entire day there and still opted to stand in this line, that would mean that 40% of the cost of you and your child’s ticket was dedicated to a 30 second meet and greet with Anna and Elsa – a total of about $60. 450 Minutes?!??!! Mother of God, you’ve got to be kidding me. 7.5 hours in a line? 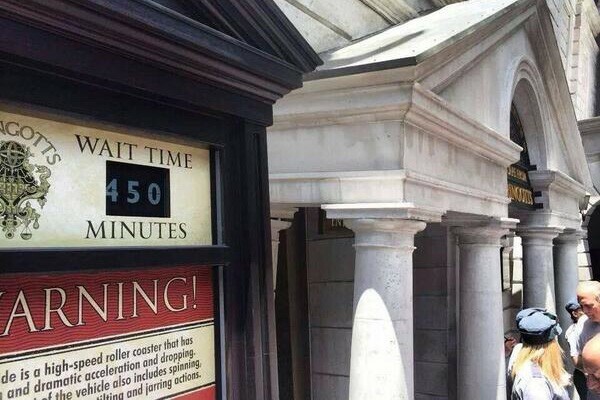 Even if you got in that line an hour after the park opened, how much time would you even have inside the park once you got there? I’ll be honest, I have a low threshold for lines. Anything more than 30 minutes and I typically walk away and come back later. 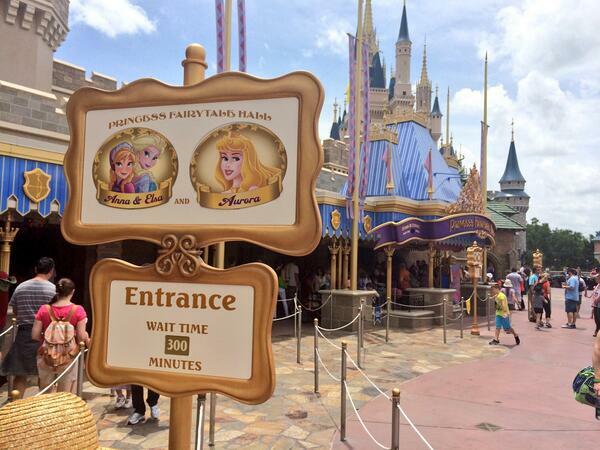 But, I also try to avoid Disney parks during peak hours (afternoon) and peak travel times (summer, holidays, etc.). I guess some people just have a different threshold for waiting in line? I’d love to hear my reader’s comments on this.